Welcome to the 417th Inspire Me Tuesday. It is so nice to be back with some of your guys great tips and ideas you shared last week. The week before we had all of the 2018 Spring Home Tours, so if you missed any, you can catch up here. 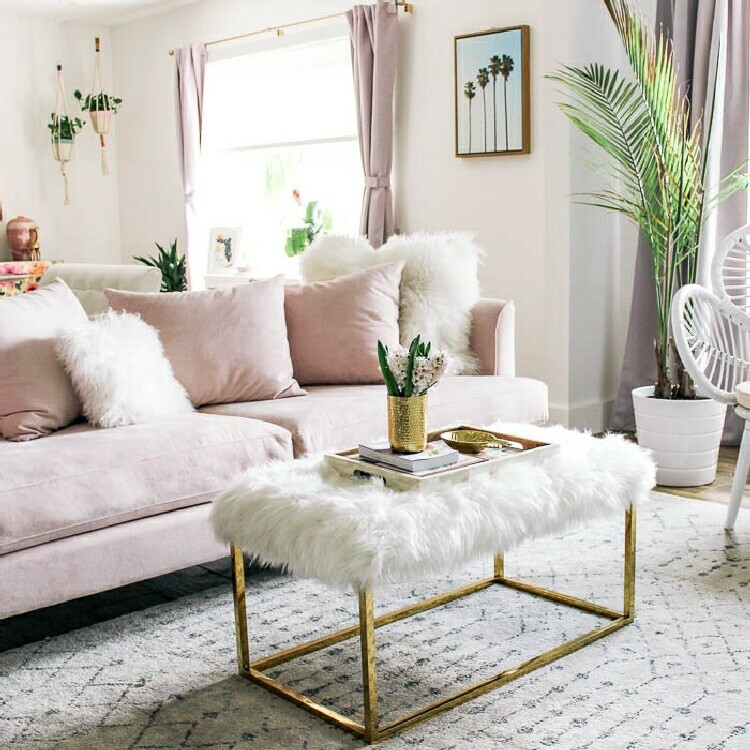 We had 30 of the most fabulous bloggers open their homes and share their spring decor with us. So many beautiful spaces and tons of inspiration. Now here are a few links from last week. If you are in need of storage and have a blank wall, take a cue from Rever en couleur and add in some bookcases and a bench. This is such a fabulous way to create a library wall inexpensively. Since pink is so popular now, it was fun to see the tutorial from At Home With Ashley on how to decorate with pink. 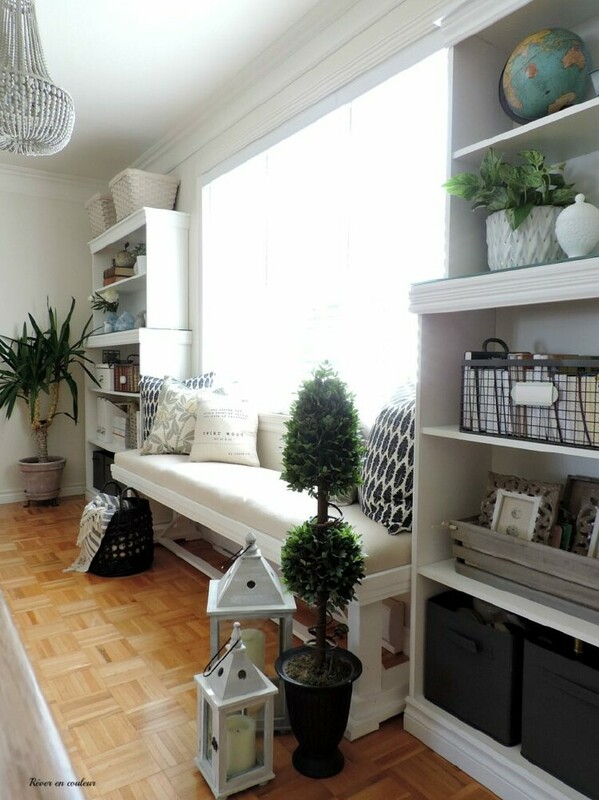 With the changing season and Spring has sprung, I think we all are looking to refresh a room or two. She Holds Dearly shares some tips for refreshing any room. 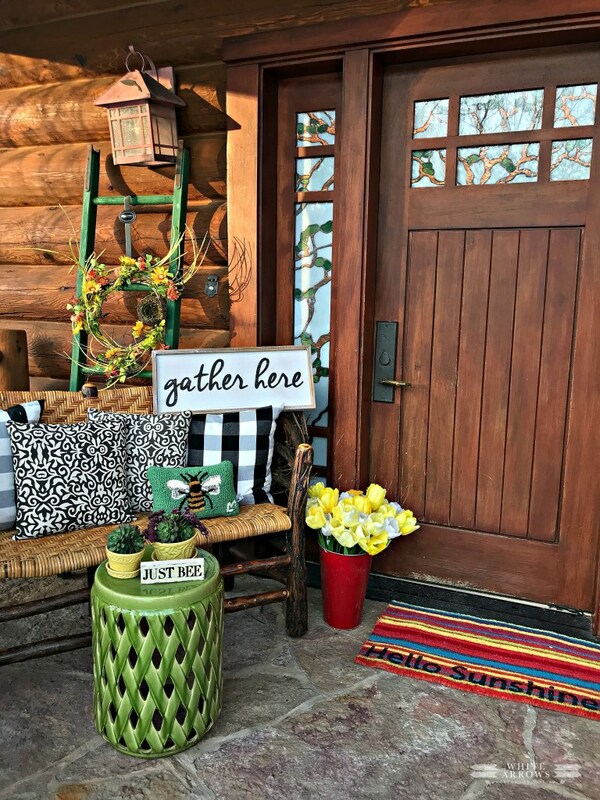 White Arrows shares her tips on how to style a fabulous Spring porch. I hope you had a nice Easter, Marty. Thanks for hosting again! Thanks for hosting Marty! Hope you and your loved ones had a really lovely Easter. Hi Marty thanks for hosting! I have featured you in my Inspiring Highlights From The Spring And Easter Joys Link Party, and I linked up the post here at Inspire Me Tuesday. Hope you get a chance to check it out. Happy Spring! Thank you Marty for you Inspire Me Tuesday. Always appreciated. Hello Marty! I hope you had a wonderful holiday with family and friends. Today I brought some ideas for leftovers for your holiday Ham, a Chicken Broccoli Cheddar Cheese Wreath, and my newest dessert, Peanut Butter Chocolate Chip Cheesecake. Enjoy your week!